Over the past few years, some people have said the ebook market is taking a turn for the worse. A few major industry reports — like this one from BookStats — have even suggested ebook sales are flattening out or even declining. It’s not great news for aspiring ebook authors. But the January 2015 Author Earnings Report paints a different picture, suggesting self-published books are not only alive and well, but a smart choice for many writers. Some authors prefer the term “indie” to distinguish their professionally edited work from the stigma of low-quality self-published books, but the report uses the terms interchangeably. Sounds like an innocuous statistic, right? 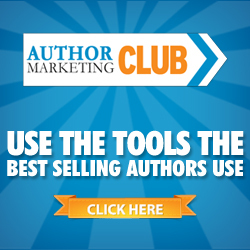 In reality, this matters for ebook authors, and here’s why. When it comes to traditional industry information about books, International Standard Book Numbers (ISBNs for short) are key. That’s because large industry surveys — like those done by BookStats, StatShot and PubTrack — rely on ISBN numbers to track books. If a book doesn’t have an ISBN number, it’s not included. BookStats, StatShot and PubTrack all publically acknowledge that they don’t track books without ISBNs, which means independently published books may be underrepresented in their data. However, all three companies also seem pretty confident they aren’t missing substantial numbers of books by not including those without ISBNs. But the Author Earnings data challenges this assumption: if almost one-third of ebooks don’t have an ISBN, that’s a lot of books flying under the radar. So what does this all mean for authors? If you include the 30 percent of ebooks without ISBNs, ebook sales may very well be growing, rather than plateauing or plummeting. Under conventional wisdom, authors with the Big Five traditional publishing houses — that’s Penguin Random House, HarperCollins, Hachette, Macmillan, and Simon & Schuster — are bringing home the most earnings from their ebooks. … Making 2014 a landmark year for indie ebook authors. Based on this data, it looks like self-published ebook earnings are growing — a good sign for indie authors everywhere. Here’s the crucial distinction: We’re not talking about gross sales revenue from ebooks, but about the amount of money authors are earning. That’s why indie authors are coming out ahead: They earn a larger royalty from each self-published ebook they sell on Amazon (70%) than traditionally published authors earn from their Big Five-published books (25%, according to the report). It’s also important to note that while indie authors may be taking home a larger percentage of dollars earned than traditionally published ebook authors, that doesn’t mean indie ebook writers are individually making more money than traditionally published authors. There likely are a lot more indie authors sharing their pie. Regardless, the fact that 40 percent of author earnings from ebooks on Amazon.com come from indie ebooks does suggest that self-publishing is as viable or more so than it was a year ago. How reliable is this good news? Author Earning’s January 2015 report is just one of several studies released over the past year by Hugh Howey and Data Guy. The reports, which all share the same methodology, have garnered both praise and blowback in the publishing community. Many indie writers have welcomed the report — expressing that it lines up with their personal experiences and provides a sense of validation. “The data … gives me a sense of empowerment,” writer John Brown told Econtent magazine in response to a previous report. “It’s not the only source for this feeling, but the data helps me feel like I’m part of a group. I’m on the map. Indie isn’t just some back alley choice. At the other end of the spectrum, some criticisms have been extreme — publishing veteran Mike Shatzkin wrote the first Author Earnings report was “toxic to consume.” However, most critiques are less harsh. The potential biases of the reports’ authors have also been questioned. Hugh Howey is an independent publishing advocate and best-selling author behind the stratospherically successful sci-fi series Wool. Independent publishing has worked exceedingly well for him and it’s a central part of his brand. True to Data Guy’s word, Author Earnings has been 100 percent transparent around their information: all their raw data is available for free download, so you can crunch the numbers for yourself. What do you think? In light of this new data, would you consider self-publishing? Great post Annie. I like the way the trends and numbers are moving. Indie-authors/Indie-publishing are putting a lot of material out there and is good,to see Hugh Howey and Data Guy doing the hardwork and getting info we may never have found ourselves. I sell a lot through Amazon and it’s good to see those numbers represented, but my highest percentage of sales (nearly 50%) comes from Kobo – outside the U.S. I’m sure as more research is done and more retailers are included, the Indie side of it all will show more presence. Thanks for your comment A–and thanks for sharing your personal publishing experience. It would be really interesting to see how the Kobo numbers factor into the whole picture! Thanks for putting together such an interesting post. It’s so strange (not in a bad way) that a decade ago, self-published authors were considered writers who couldn’t make the cut. Now, self-publishing is not only an acceptable alternative, but for a lot of author it’s becoming the preferred method. It’s true that a decade ago, self-publishers were seen as those that could not be published traditionally. There are still some old-fashioned ideas and prejudice about self-publishing. Some important groups, like Mystery Writer’s of America, will not allow a full membership to anyone who is not traditionally published. This is so wrong! They need to get into the 21st century. Hopefully, this will change in time. It’s too bad that there is no way to distinguish between the unedited, amateurish writing, and those who have taken the time and care to have a polished product. Amazon and other indie sites have become the new slush pile and the readers are the judge. Is that a good thing? That remains to be seen. Annie, what I’m most happy that you did with this post beyond simply reporting statistics for traditionally and independently published books is examine the question of bias. That is huge for any statistical analysis. For example, the first question that popped into mind was: why are groups like BookStats ignoring books that lack an ISBN number? That does seem suspicious. Then again, I appreciate how you turned the question of bias around at the end to examine the implications of the anonymity of Data Guy and Hugh Howey’s success as an independently published writer. With varying sets of data being tossed around regarding the success of the ebook market, readers need to consider the breadth of data from which results are drawn and the bias of the data aggregators. You did a respectable job. Also, I just tweeted a link to this post but used The Write Life handle. Let me send out another tweet with your Twitter handle. Again, well done. Thanks for noticing this and commenting it on it, Joe. Annie did a wonderful job here, and it wasn’t an easy post to write. Our goal was to be more thoughtful than simply reporting the stats, and she pulled it off! Joe, thanks for your comment and thanks for sharing the article. This topic was really interesting to dive into, especially since there are so many moving pieces and competing interests. I’m looking forward to reading more from Hugh Howey and Data Guy! Great post! It’s nice to see the encouragement to think through all the data and make your own decision. 🙂 It’s potentially bad business to make a single decision and stick to it emotionally, fighting with anyone who disagrees with you. This is what I believe too many people in self-publishing do, rather than allow that everyone else should be allowed to do what they have done – make a choice that fits. I took the traditional path at first, and I was pleased to attract a well-known agent in my genre. But I wrote chick-lit just as traditional publishers moved away from it. Then I started my superhero newlyweds urban fantasy series, and several editors said they liked it but didn’t know how to sell it. So I had my own personal good-to-me reason for trying self-publishing. I enjoy it, and I enjoy teaching others how to self-publish. I also have some work that might be perfect for one or two traditional imprints, and I’ll pitch that sometime this year. I’m happy to do both, but that doesn’t mean it’s the right path for everyone. Thanks for sharing your story Kitty. Great to hear about specific examples from the trenches! An excel spreadsheet is NOT raw data. The raw data is in the MySQL database that holds the data returned via the scraping/API. There is no way to tell from that spreadsheet if there are design errors in the table structures or T-SQL errors in the queries used to analyze the data and/or produce the spreadsheet. I am a data architect. I have been a SQL server DBA for over 10 years. My expertise is fixing poorly designed databases and the data issues that inevitably result. I get twitchy whenever anyone says the raw data is being provided when it’s not. This does not mean there are issues with the actual RAW data or the queries being run on it. I also find what’s been said about the results to be highly interesting, but I don’t think anyone can say that the conclusions are error free when we don’t have access to the things that would actually tell us that. An excel spreadsheet is NOT raw data unless that’s where the data is actually being written, and it’s not. The raw data is in the MySQL database that holds the data returned via the scraping/API. Data Guy has said the back end is MySQL. There is no way to tell from that spreadsheet if there are design errors in the table structures or T-SQL errors in the queries used to analyze the data and/or produce the spreadsheet. This does not mean there are issues with the actual RAW data or with the queries being run on it. I also find what’s been said about the results to be highly interesting, but I don’t think anyone can say that the conclusions are error free when we don’t have access to the things that would actually tell us that. Is it possible for the team to share that MySQL data or the queries themselves, so people can see the actual raw data? I’d like to know what “professional indie” writers make. Those focused on writing full time make. I hate to be a downer, but I self published a 600 word ebook with Amazon Kindle just over a year ago and have not made one penny. On the plus side, I didn’t have to pay anything and the template was simple. I even found a cover image for my short Christmas Story for young kids. Now I’m planning to self publish using other means with my illustrator friend.